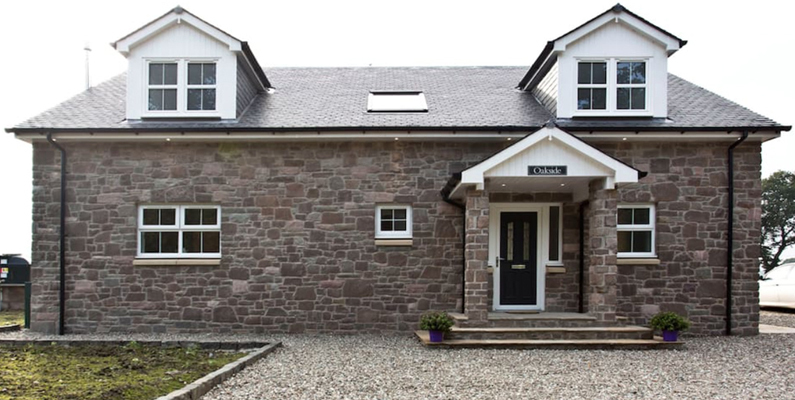 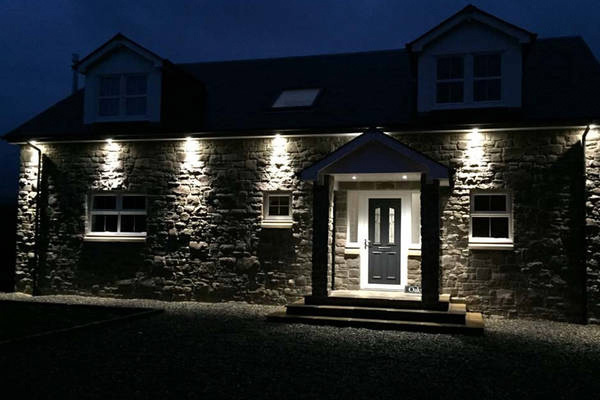 Oakside Cottage is a luxurious, newly built, traditional style four bedroom house built on farmland at Blair Drummond just a few miles outside Stirling. 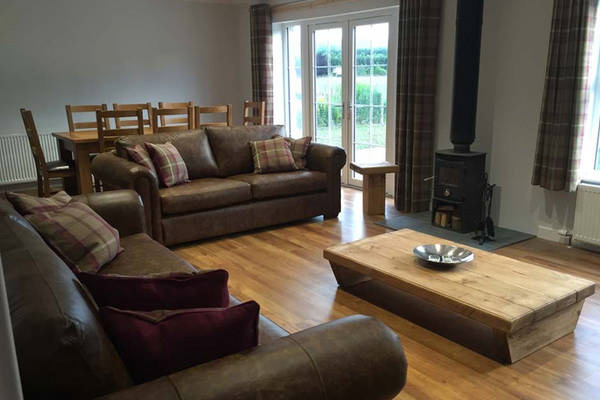 With beautiful views of the surrounding farmland and hills, combined with it’s ample living space, Oakside Cottage is the ideal choice for a family holiday. 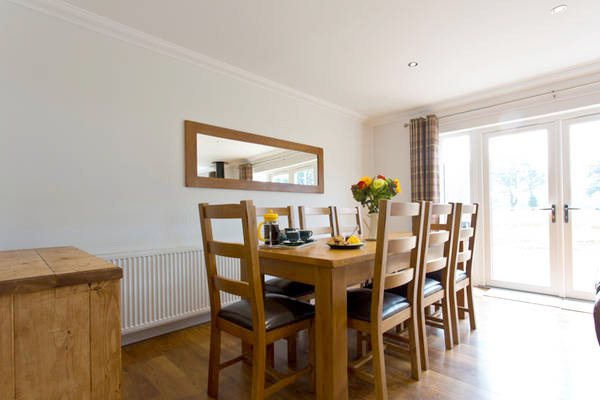 Oakside Cottage offers guests a unique experience with the benefit of being in a rural location yet, at the same time, only a short drive from the City of Stirling. 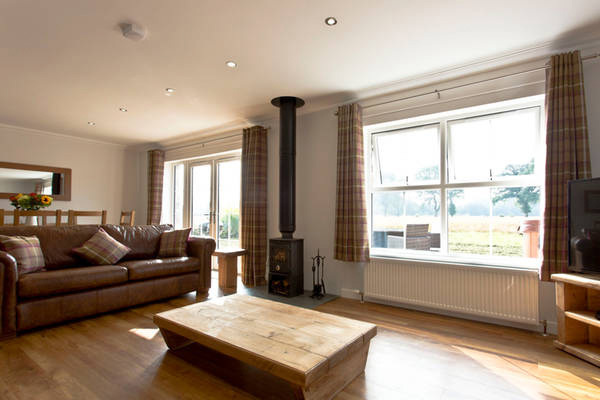 The large, open plan living/dining area with wood burner can comfortably accommodate 8 people, leads by patio doors onto the patio area where you can relax with a glass of fizz after a hard day’s sightseeing. 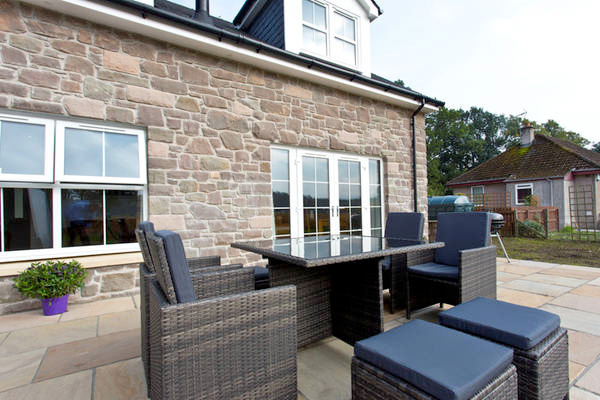 In the warmer summer months you can also make use of the outside dining area and BBQ while soaking up the views of the surrounding countryside. 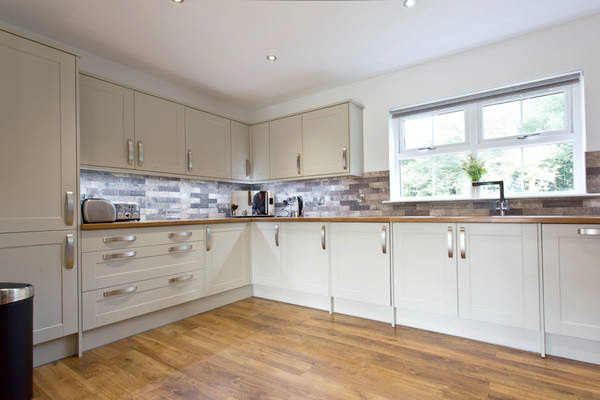 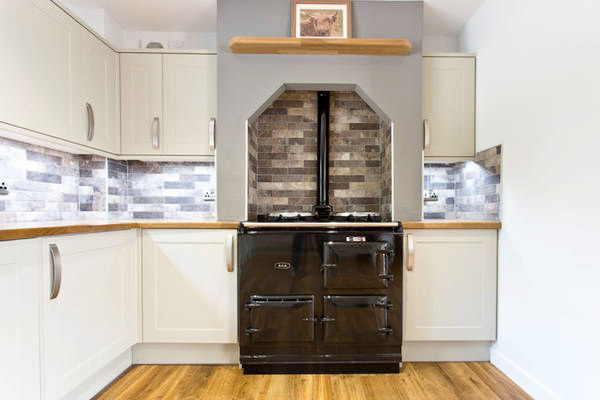 Situated just off the living/dining area is the spacious farmhouse-style kitchen – which is fully equipped with washing machine, dishwasher, microwave and an oil-fired 2 oven AGA cooker. 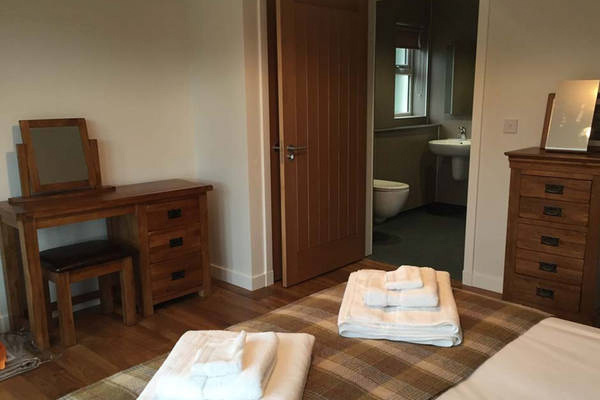 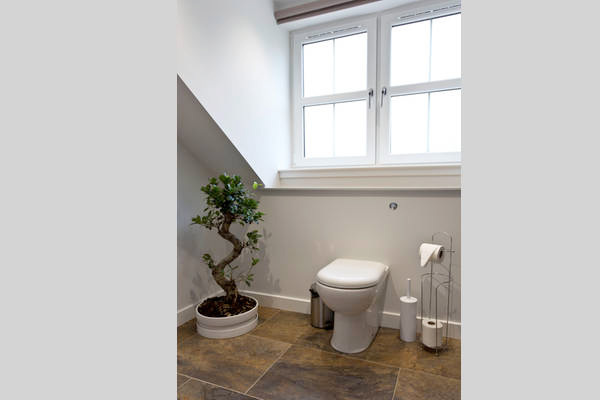 On the ground floor you will find a large, wheelchair accessible bedroom with king size bed, fitted wardrobe and wheelchair accessible en-suite wet room with power shower. 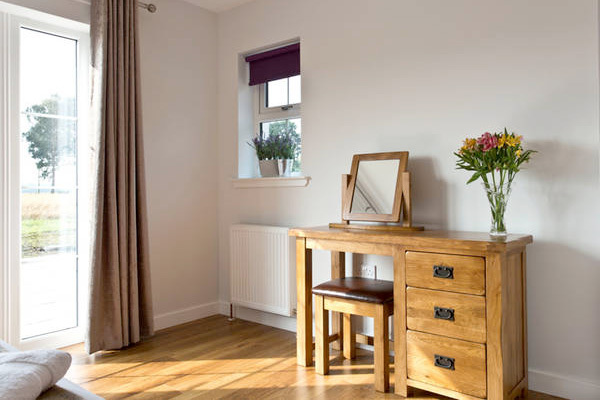 This room also looks out over the patio and allows access to the house for anyone with limited mobility or who is in a wheelchair via an access ramp from the parking area to the patio. 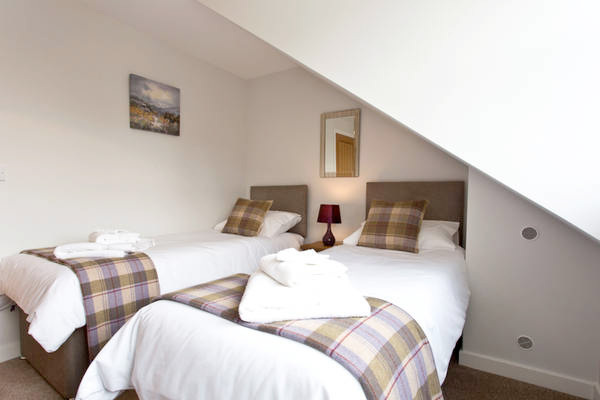 On the upper floor you will find the master en-suite bedroom with zip and link beds offering the choice of either a super king size bed or 2 single beds. 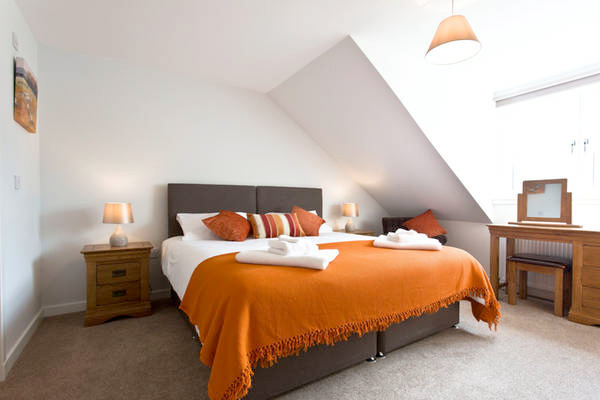 A further bedroom on this floor also offers flexibility with either a super king size bed or two single depending on your parties requirements. 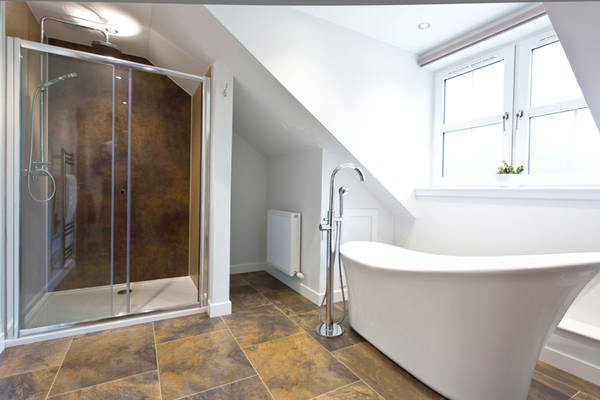 The final bedroom on this floor has 2 small single beds (6ft long by 2ft 6 wide). 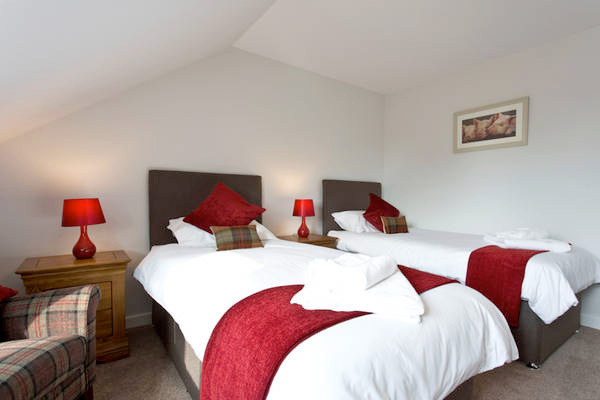 These beds are ideal for children or smaller adults. 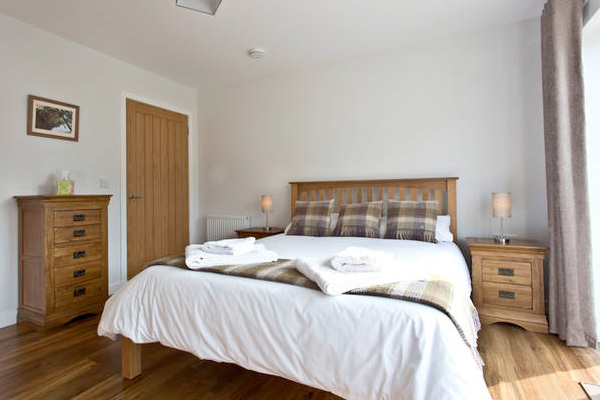 This room has its own fitted wardrobe and TV with built in DVD player. 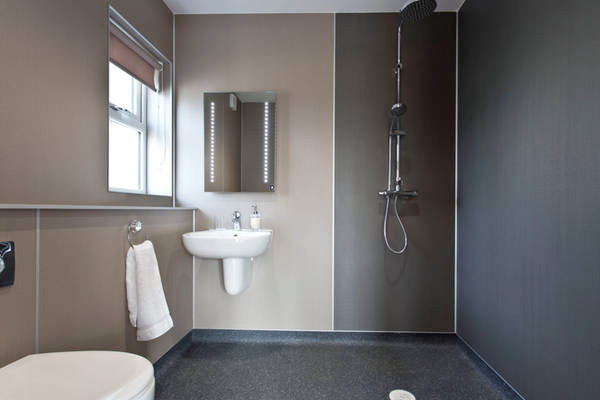 These 2 bedrooms can share the use of the impressive family bathroom which has a luxurious slipper bath and separate large walk in shower.